Mr. Ganesh Babu is the Founder and CEO of Winning Minds Solutions. 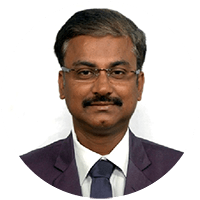 He is an industrial engineering graduate and has 20+ years of contribution in various functions viz Industrial Engineering, Manufacturing systems, Operations and Project management at leading group companies like TVS, Murugappa group in India. He last served as the General Manager at Whirlpool India. 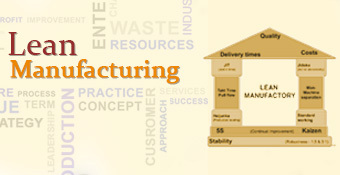 His core expertise areas are Lean Manufacturing, Project Management, and Leadership Development. His organization Winning Minds Solutions has so far helped more than 30 SME organizations to improve productivity, business profitability and build a performance-based culture to sustain the business profitability. Some of his clients include corporates like Tube Investment of India, Larsen & Toubro (L&T), Asian Paints, Apollo Tyres, Maini group, Essae group companies and SME’s like Dimo castings, Southern pressure castings, Vijay Spheroidals and Bright Brothers etc. As a certified Project Management Professional (PMP®) and lean system thinking expert, he used to conduct Technical and Managerial workshop in both corporate and public forums that produced significant results on shift in mindset and business results. As a certified Performance Coach, he is a regular writer of artciles on Life excellence in educational magazines and websites. He is the author of the book “Thoughts on Life Excellence”.